The moment you step through the fancy wooden entrance, you'll be enveloped by a sweet fragrance. Delicious goods like apple pies, fruit tarts and quiches greet you from inside the showcase at the counter. As you might expect of a store that specializes in tarts and pies, they have an astounding variety of apple pies. There are four or five varieties available, rotating from a selection of six varieties every day. 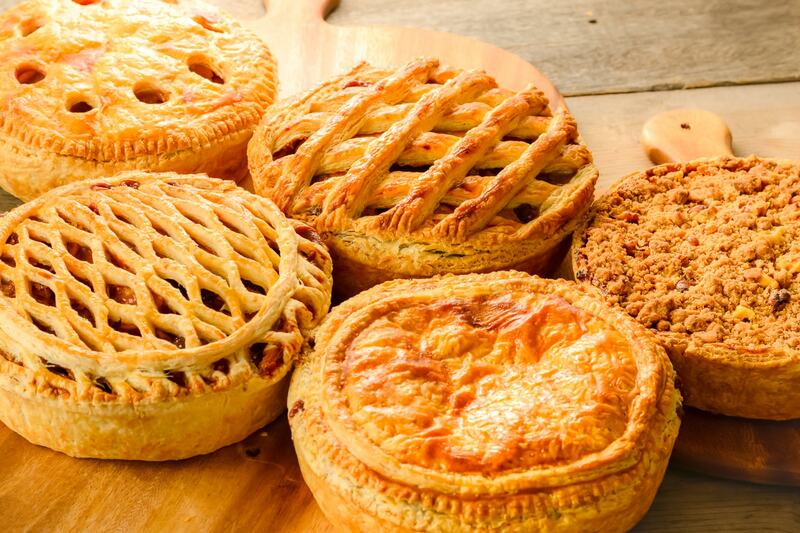 These include the standard apple pie with the flavor of cinnamon, the custard apple pie that is covered in rich custard cream, and the no-cinnamon apple pie for those who aren't fans of cinnamon. Each variety has its own unique features! 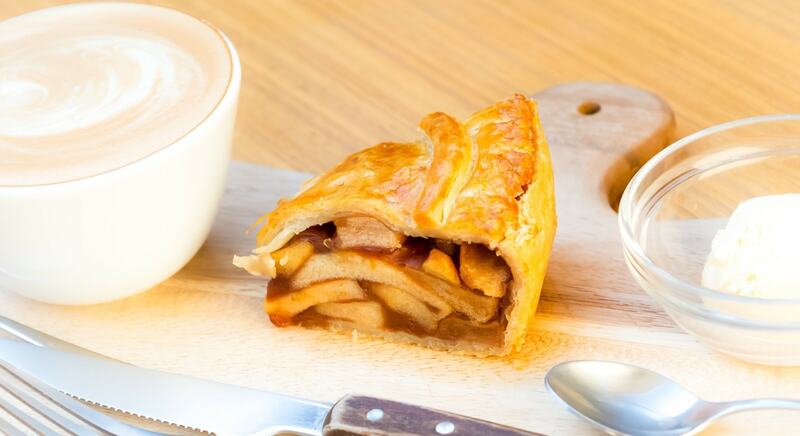 If you cut one of these apple pies open, you'll see that they're packed full of apples – but rest assured. 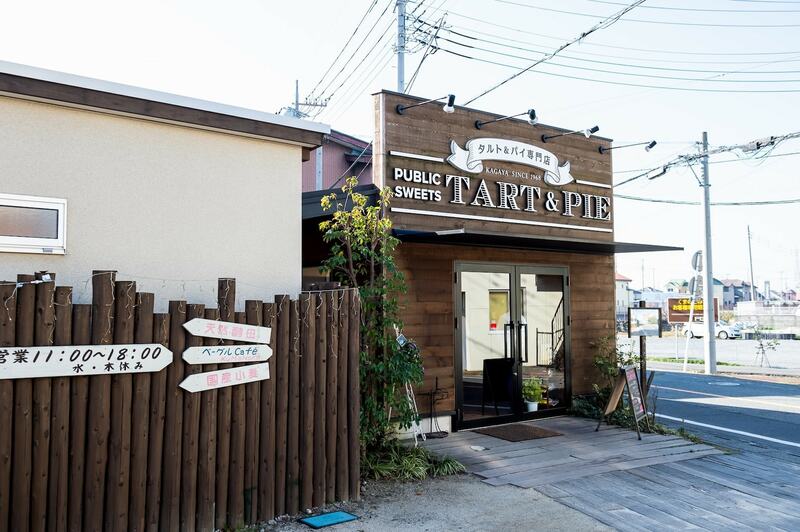 Public Sweets aims to make snacks that one could eat every day, so the apple pies are light and are only moderately sweet. Even ladies and those with small appetites will have no problems with finishing them! The fluffy-textured dough made from Kumagaya's locally-grown ayahikari wheat is combined perfectly with the accentuated sourness and natural sweetness of the apples inside. 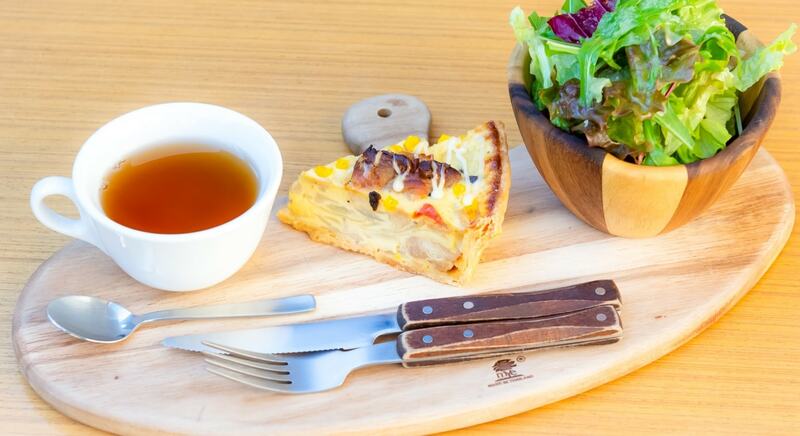 In addition to apple pies, there are two different daily-special quiches available. 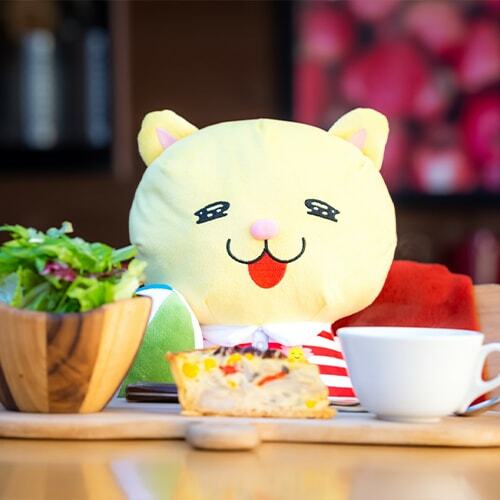 You can enjoy the apple pie set meal that comes with homemade vanilla ice cream and a drink or the quiche set meal that comes with a salad and drink (Both 850 yen) in the store's relaxing space and “fashionable café” atmosphere. 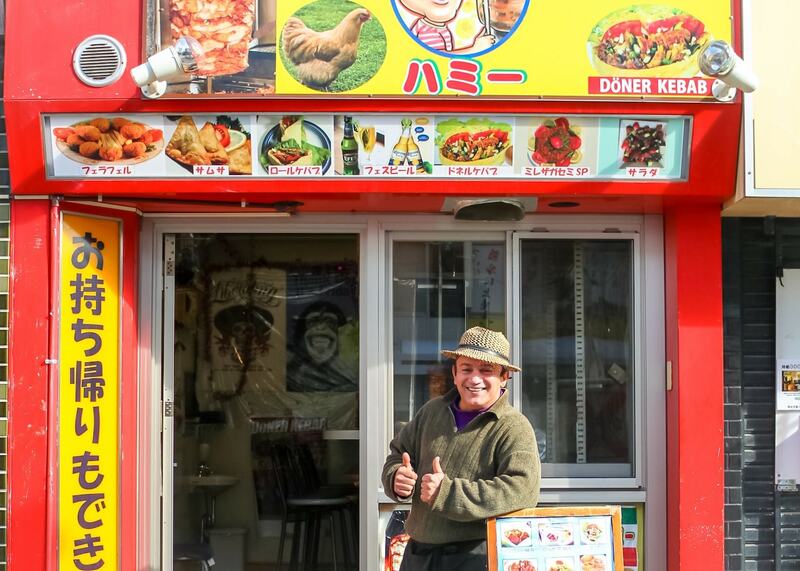 This is the recommended place for anyone who wants to enjoy a comfortable meal. 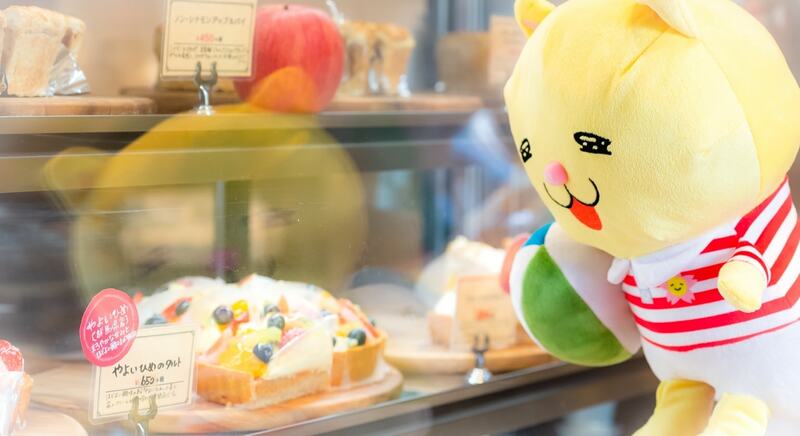 "They have a huge line-up of baked sweets. We recommend our terrace seats when it's nice outside. Feel free to stop by and relax! 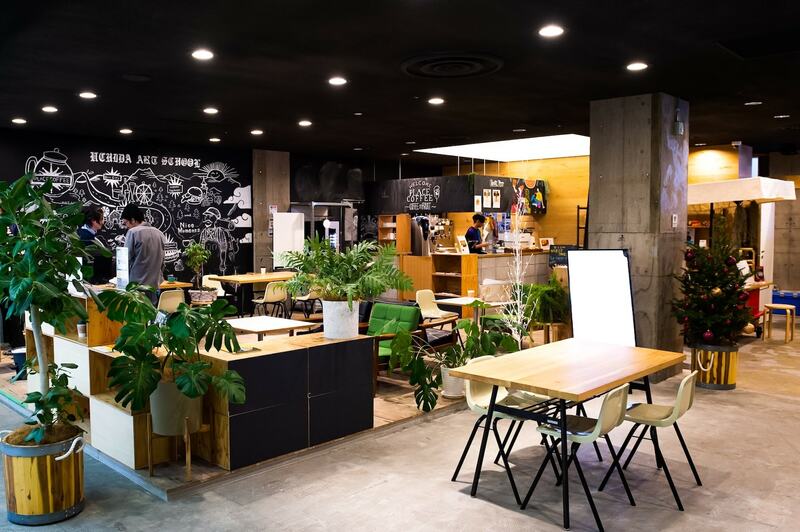 Place Coffee is a news distribution base that includes a hall and a space for kids. 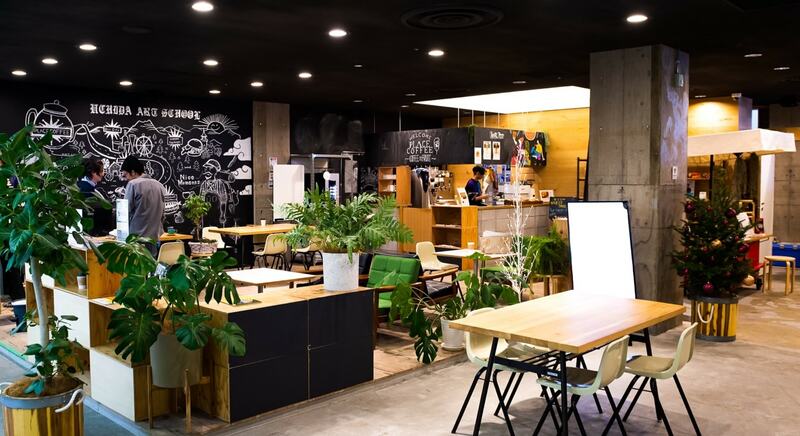 You can find the store on the 6th floor of AZ Kumagaya, which is directly connected to Kumagaya Station. 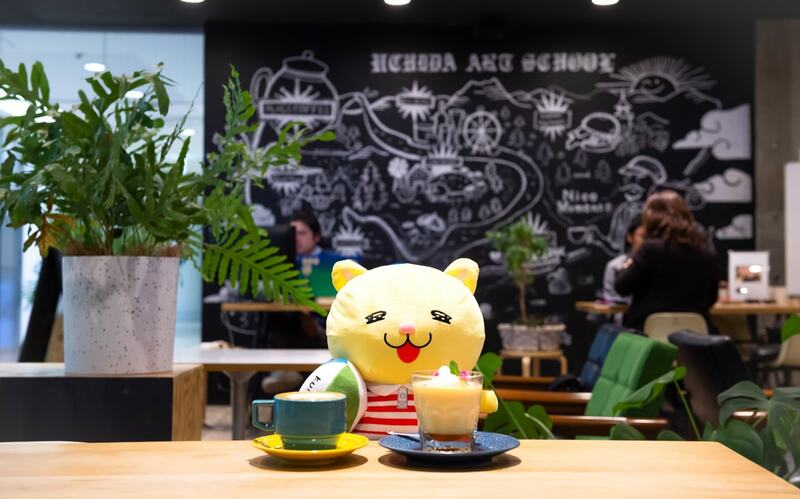 Every coffee on the menu is an authentic product, reflecting the store's desire to offer world-class coffee in a casual setting. 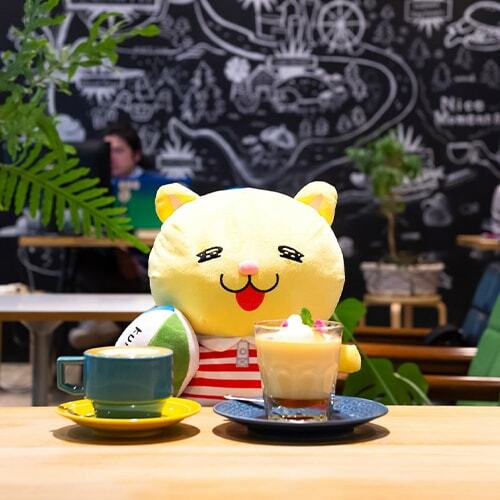 They have six kinds of lightly-roasted specialty coffees that are single-origin, which means that each of them originates from a specific farm. Each farm produces coffee beans with vastly different flavors – For instance, there might be two farms that are both in Ethiopia, but one plantation might produce beans with black tea and peach flavors, while the other produces beans with strawberry or chocolate aromas. You'll definitely be surprised by their differences when you taste them! 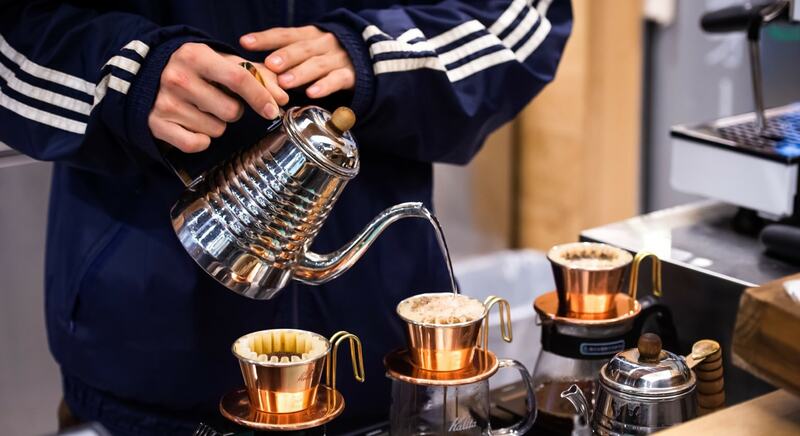 The best thing about Place Coffee is that you can experience the world of coffee and learn of its depth. But Place Coffee doesn't just introduce its customers to the wonderful world of coffee; one of its other important goals is to spread news. That's why the sweets on its menus, such as the apple pies and the bagels, are all items made by famous sweets stores in Kumagaya. You should definitely check out the featured Guest Sweets, which rotate every three months. 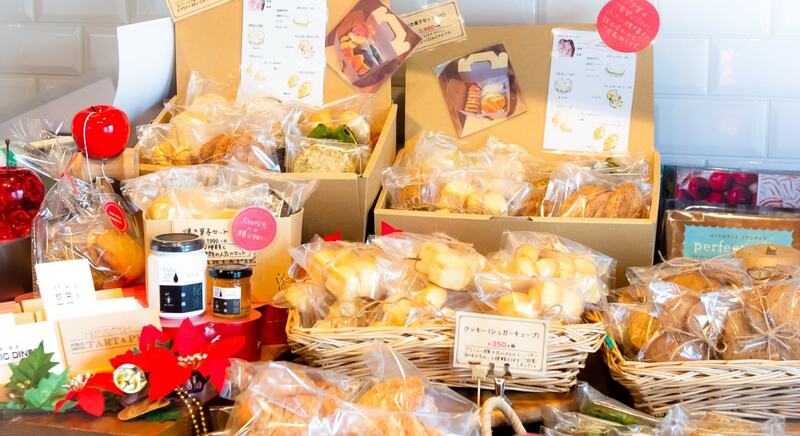 The items here come from Kumagaya's quaint confectionary stores. In addition to these, Place Coffee's original #Pudding has made its debut! 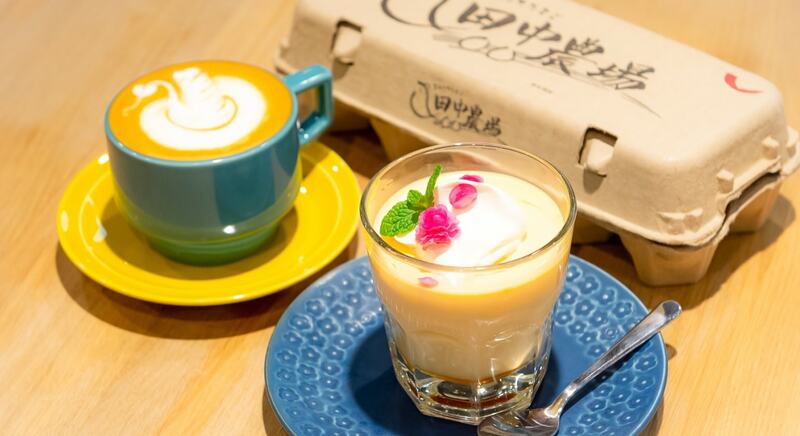 Its rich flavor is produced from using eggs sourced from local chicken farms. 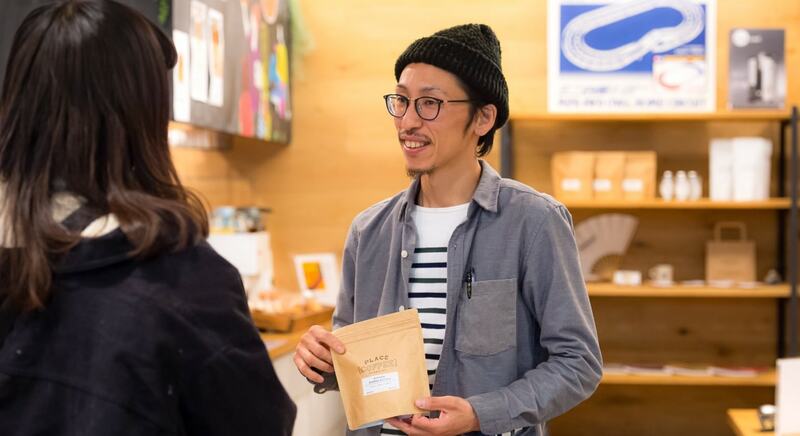 You can enjoy a leisurely cup of lightly-roasted specialty coffee or seek out Kumagaya's delicious sweets. The freedom of choice is the reason for Place Coffee's popularity. 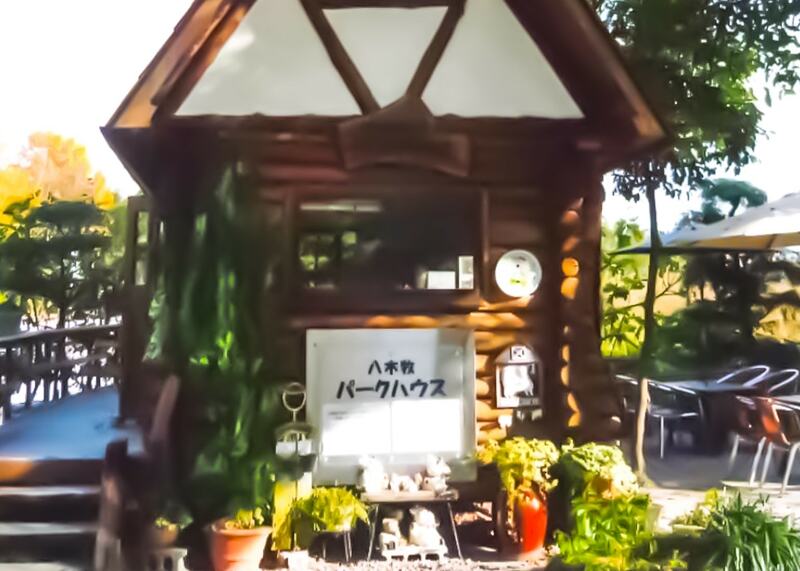 My favorite is their specialty coffee from their “special machine.” Enjoy the nice fragrance and rich flavor. 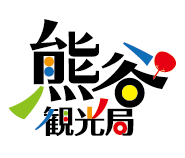 We want to make the nice things of Kumagaya more well-known. We hope that our store will be a place where you can escape your everyday worries and experience something new.